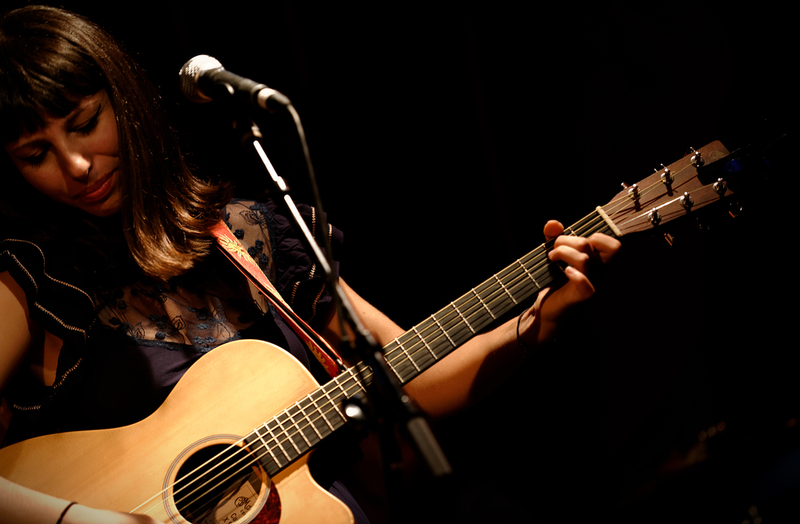 Today I'm chatting with singer/songwriter, Katie Ferrara. Katie is an introvert who found a way to connect with people through playing music...on the streets of LA. She has spend a lot of time over the last couple of years as a busker. During our chat she opens up about how she found empowerment through busking. And it's so interesting to hear her take on performing on stage in a venue (which she also does) vs. performing on the street. She talks about how she went from only performing solo to finding a love of collaboration. And, she opens up about something many of us can identify with...the conflict between pursuing a career and having kids and settling down. In fact, she's got a song about that very topic, which she plays for us at the end of the show! I asked Katie to give me a few fun facts about herself. Here's what she said: "My favorite scent is jasmine mixed with honeysuckle. My parents used to have those two bushes along a fence in our backyard and I would only smell those flowers in the springtime. I like eating anything tangy, especially lemons and limes. I put Tajín on all my food. I have had grey hair since I was six years old. I have a bachelor's degree in psychology from Pitzer College. I lived in Ecuador for four months, and can speak Spanish at a conversational level. I climbed Machu Picchu and swam in the Amazon River. Katie's bubbly and thoughtful personality makes her a delight to be around. She's so relatable, you'll feel like you've known her forever. And her voice! Listen all the way through to her song, Jackets, at the end of the show. I'm sure you'll love it as much as I do!